I've been trying so hard to get back into reading again. I love reading so much but real life just keeps getting in my way! I downloaded a free trial of Audible last month so I "read" one book that way (and I'm still not sold on the whole audio book thing) and then I was traveling for work last week so I got in one book and two half books ;) So, today, I thought I would link up with Steph and Jana to share my thoughts and get back into this blogging groove, too. I was inspired to download this because of Big Little Lies coming on HBO. I decided I didn't want to read it because I was too hooked on the show. I still may read it, though, now that I've watched the show. I've also read The Husband's Secret a few years ago so I knew I liked the author pretty well. I found this book a little harder to listen to because of all the POV changes. Each chapter is a different person's viewpoint of either present day or "the day of the barbecue". Essentially, something big happens at a neighborhood barbecue and each person is dealing with the ramifications in different ways. On top of that, there are interesting relationships between all of the characters prior to the barbecue that are also being dealt with. Final thoughts: A good read that will keep you guessing, but drags on for awhile before you find out what the big event is they're all reeling from which got a little annoying. I like a good psychological thriller so that's what I was looking for before leaving on my trip and had seen this one pop up a few places. Like, Liane's book, it also switched back and forth from present day to about a year and a half prior. As the book goes on, the timelines meet for climax of the book. I liked the way this one was structured in tat respect, but WOW this book is so heavy. Slight spoiler but I don't want to give it all away: it deals very heavily with abuse and the antagonist is a very twisted person - it's not a typical situation. I was very interested in the beginning, but towards the middle, I almost put it down because it made me uncomfortable. But, I hate not finishing a book and I was hoping for a positive ending so I kept reading. I wouldn't say the ending is "good" but it ties up the book nicely. Final thoughts: Don't pick this up if you want a happy, easy book. It is heavy and very hard to read but written very well. I'm going to be honest, I'm not totally done with this book, but I'm close. And I've read all her other books, so I kind of know how this goes. I find Chelsea to be absolutely hilarious. I also wonder if her books really are true. I don't know how one person can drink so much and still function, LOL. But, she's got a funny way of writing and I have laughed out loud quite a few times while reading it. It was definitely good to break up Behind Closed Doors with this one on the plane. Final Thoughts: A good vacation read. I've already got 3 more books downloaded on my tablet and one I'm listening to on Audible so hopefully I'll be back next month with some more books! i haven't read truly madly guilty but i heard it wasn't her best. i loved big little lies, but haven't watched the show yet. i did listen to a couple of her other books, i think the hypnotist one and what alice forgot. loved them both, but the switching povs makes it hard for sure. i'm very picky about what i listen to even though i love audiobooks, some of them just don't work lol. I read some of Chelsea's earlier books...they weren't as enjoyable as her show for me. My favourite from Moriarty is What Alice Forgot and Big Little Lies is second. So far, Truly Madly Guilty was my least favourite and it really just seemed to drag at times. I hope you enjoy her other books sometime!! I've only read The Hypnotist's Love Story by Moriaty and wasn't super impressed. I'm reading What Alice Forgot for Erin's 6.0 Challenge and I've heard so many great things about Big Little Lies (both the book and TV series). 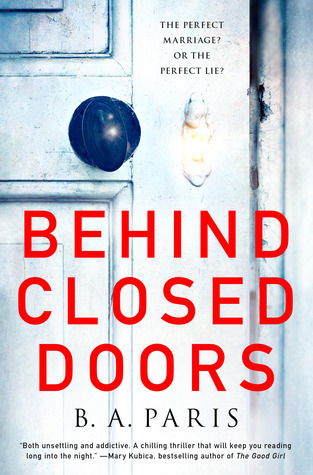 Behind Closed Doors is on my TBR. It sounds really good and dark, which are the kind of stories I enjoy but have to mentally prepared for them, especially when they deal with abuse. Behind Closed Doors was super disturbing (I also wasn't all that impressed with the writing). I always like to break up heavy books with light reads too! 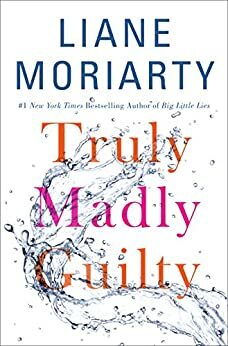 I think that Truly Madly Guilty was my least favorite Moriarty book. I loved BLL and What Alice Forgot the most. 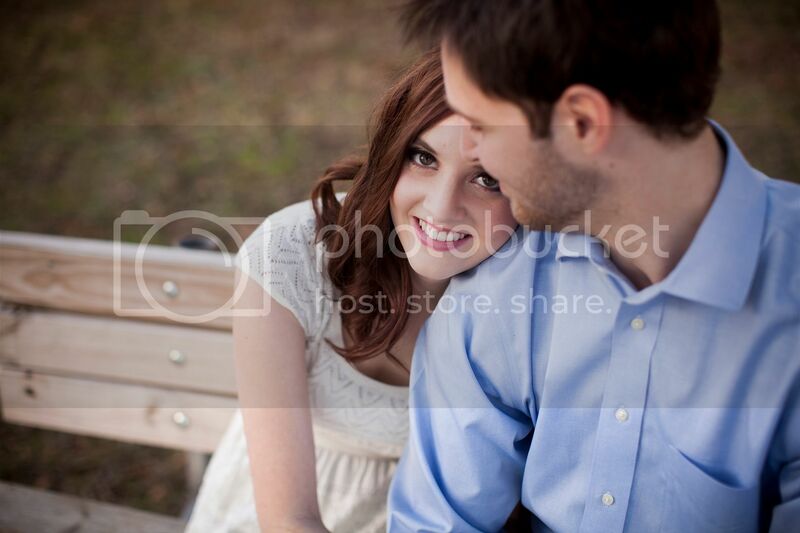 Hypnotist's Love Story is a lesser known one but cute too. Behind Closed Doors was just added to my TBR today. Truly Madly Guilty went way too slow for me, and I felt like the reveal was really underwhelming, which made it even more of a bummer. I'm really intrigued by your review of Behind Closed Doors! I'm really curious about Behind Closed Doors. I don't mind a darker read! I'm like you- I enjoy reading but sometimes life just gets in the way. Some people tackle 8 or 10 or 14 books in a month. I typically manage about three. Lol. No shame in that. Also, audiobooks just aren't my cup of tea. Reading takes more un-multitasked time, but I like it better and I absorb the book better. Yours is the second post I've seen on Behind Closed Doors so I'm excited to give it a try! I hope my library has it!